The Billingsley Ranch in the Trans-Pecos is made up of pristine Chihuahuan dessert grassland. Shortly after buying the ranch in 2008, Stuart Sasser said a wildfire set him back to square one. And it came up through here and burned about seventy percent of this ranch. We were able then to start completely over with a new set of fences that were antelope friendly type fences. And build a new type of water system. In an upcoming segment on the Texas Parks and Wildlife TV series, viewers see the ranch and meet, Sasser: a 2018 Lone Star Land Steward Award recipient. Michael Sullins is a Natural Resource Specialist with Texas Parks and Wildlife. Stuart’s approach to management out here is not really all from a cattle production perspective. He has a holistic view of the place; he wants to improve it for the native wildlife. Whitney Gann is a Research Scientist with Borderlands Research Institute. 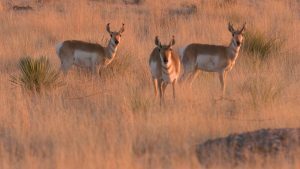 She says the ranch’s prime grassland habitat made it an ideal place to translocate pronghorn. 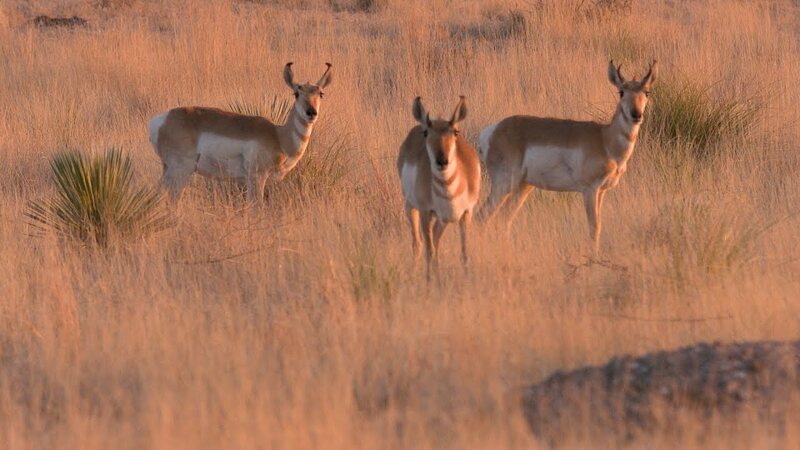 We’ve completed seven translocations since 2011, the Hughes Sasser ranch served as our release sight for pronghorn in 2016, and the results of these translocations is an upturn in the population, and so we’ve actually doubled our population size since 2012 to today. A segment featuring innovations on the Billingsley Ranch airs the week of November 4 on the Texas Parks and Wildlife TV show on PBS. This entry was posted on Friday, November 2nd, 2018 at 12:00 am	and is filed under Conservation, Land/Water Plan, TPWD TV, Wildlife and Sport Fish Restoration Program. You can follow any responses to this entry through the RSS 2.0 feed. You can skip to the end and leave a response. Pinging is currently not allowed.